White House officials sought to reassure tech industry representatives at a private meeting last week that the Trump administration's pugnacious trade policies will ultimately aid their businesses, according to multiple sources. Why it matters: A trade war between the U.S. and China could put a big dent in the long run of profits and growth that the tech world has seen over the last decade, so its lobbyists have pushed to soften the administration's stance. Tariffs the White House has been imposing against China were a major focus of the Thursday meeting, held in the Indian Treaty Room of the Eisenhower Executive Office Building next to the White House, according to two sources. 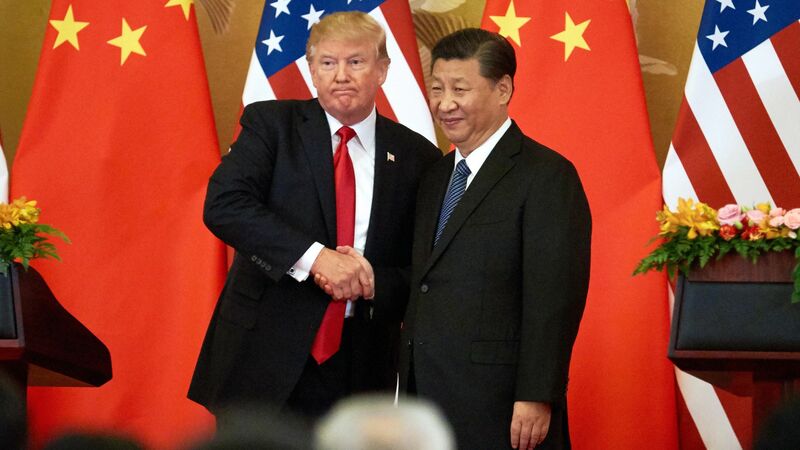 “Many focused their remarks on China, and specifically on the tariffs, and wanting to understand the roadmap that the administration is pursuing,” said one source familiar with the meeting. White House officials argued that tariffs will help the administration push China to change course on issues that matter to tech, including the forced transfer of American intellectual property into Chinese hands, according to two sources. One source said that “the administration did its best to suggest there is a coherent strategy behind all this churn" that will ultimately be good for industry. The big picture: Tech groups have expressed concerns about President Trump’s tariffs on Chinese goods, arguing for other ways to address their concerns about an important market for the industry. Hardware companies rely on supply chains out of China. Internet companies have been angling to break into the Chinese market, or return to it. The White House meeting was attended by staffers for trade groups representing the tech and telecom industries, as well as representatives of some individual companies, a source familiar with the meeting said. Representatives from the White House included officials from the Department of Commerce, the U.S. Trade Representative, the Office of Science and Technology Policy, the Treasury Department and the National Economic Council. recent efforts to make changes to the Committee on Foreign Investment in the United States. What's next: Another source familiar with the meeting said that tech attendees appreciated the opportunity to discuss the issues with the White House, and that industry hopes the meetings will continue.